This podcast is an update from my healing journey with Ken Guzzo at Hypnothoughts Live last year. I was lucky enough to be chosen as a demo subject for his 4 hour talk. This was a demo of something known as Prime Potential. Before we dive too deep into this podcast…let me just say that I’m about as skeptical as they come. Ken Guzzo didn’t let me down. Without going into the gory details, he helped me to unshed a lot of emotional baggage I’ve been holding onto over the years. There was one specific memory that seemed to be dragging me down quite a bit. In the matter of about two hours we were able to bring myself into an emotional state where I was literally buzzing with freedom. The only way to describe it was a feeling of freedom and stepping into my true authentic self. Listen to the interview below to discover what happened to me since this demo at Hypnothoughts Live 2016. Want to check the Ken Guzzo interview on Youtube? What’s Ken Guzzo up to at Hypnothoughts Live 2017? He’s finally lifting the curtain on his ground-breaking “Guzzo Protocol” that is the backbone that allows him to charge $595 per smoking cessation session. He’s also running a workshop with Martin Peterson called Hypnotic Excellence. What if there was a damn-near fool proof way to convince even the most hardened skeptic about the power of Hypnosis? And no, we’re not talking on an intellectual level. We’re talking the kind of gut level instincts where you know something amazing has happened. Well, look no further. Martin Peterson is introducing his new baby Virtually Bulletproof Hypnotic Convincers at Hypnothoughts Live 2017. Hold up partna’. You don’t know convincers like this. This is an entirely new way to approach convincers – using some old school techniques…with a nice dash of some innovations. Want to check the Hypnotic Convincers interview on Youtube? 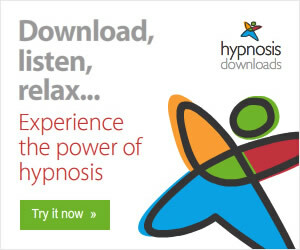 What if there was a way to sell more of your hypnosis products? Well, you’re in luck. In this interview, Jason Linett reveals a few ways to sell more of your products online. 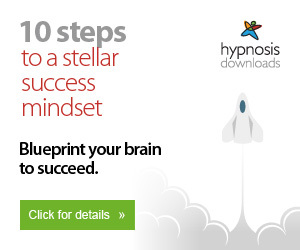 He dishes up a few solid ways to sell hypnosis products online. “Is this going to be more of the same old same old? Great question. And the answer is no. Jason is known for being the “hypnosis business guinea pig.” Meaning he won’t suggest you to do something that he hasn’t already tried. What better way to finish an amazing hypnosis conference? Want to check the Jason Linett interview on youtube? Want to check this Laxman Mind Machine review on youtube? 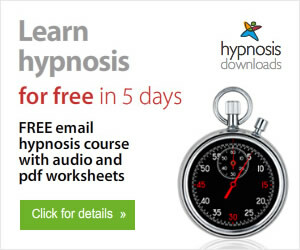 How would you like to tap into the raw power of hypnotic language patterns? We’re not sure how being able weave hypnotic language patterns into your conversations sounds…but to the rest of us, it sounds like a no brainer. Keith Livingston and I recorded a podcast about Hypnotic Language Patterns. Enjoy! Want to check this Hypnotic Language Patterns interview on youtube? You’ve been reading about hypnotic language patterns. You’ve also thought how you’d use them in your everyday life. And perhaps you’ve imagined these patterns flowing smoothly like honey from your mouth. That is until its game time. Right when you’re going to wow someone with your hypnotic language skills (hopefully without them knowing) you start to choke up a bit. It begins with a feeling of sheer terror exploding in your chest. You freeze in your tracks like a deer caught in the headlights. But you push on with the hope it’ll work itself out…but it doesn’t…and you fall flat on your face. Listen up. We’ve all been there. In a moment you’re going to hear how I used some of these patterns at a sales job I used to have. That’s what makes this product so damn good. Every single aspect of hypnotic language is covered. And it only costs $169.0! That’s like getting more than double the value for half the price. How’d you like to feel like you’re in a closed doors meeting with Milton Erickson himself? This program is only $169. Which makes this a no brainer. If you’re ready, grab a copy of this program. The Slight Of Mouth Patterns. You’ll get a world class education on conversational belief change. You shouldn’t make a big deal out of small issues, right? Which reminds me of a quick story about the sales job mentioned earlier. Lets get cracking. I was at a job where I signed people up for timeshare sales presentations. Its hard as hell to convince people to sit through a 2 hour high pressure presentation. Once people here the word timeshare their defenses shoot up like a missile. I couldn’t manage to get anyone signed up for a timeshare presentation. Rent was coming up and I was at the end of my rope. They agreed and booked the presentation on the spot. BOOM! It took me a while to secure an interview with Lorrie Morgan Ferrero. She’s not a Hypnotist – yet her words are Hypnotic. Let me explain – Lorrie produces red hot copy – aka persuasive writing that convinces people to do things. More than likely it is to buy stuff. Its actually the complete opposite. Its heavy on the emotional storytelling. * The direct marketing LEGEND you should not eat with (never). Has nothing to do with his manners. * How losing out on a copywriting job turned her into a A-Lister copywriter. * The exact reason she’s a (horrible) actress. This makes her even better at writing copy. * What sets her apart from her male counterparts that allow her writing to attract a wider audience. * Why Lorries clients are stunned by the results she gets for them – its because of a “special” type of lizard. Want to check this Lorrie Morgan Ferrero interview on youtube? The 30 Day Storytelling Playground on Facebook. Make sure to join. Its a blast and a half! Every day, for 30 days she posts a (totally random) picture in the group. Then you write a 100 to 200 word story in like 15 minutes. It gets really creative..and fast! When the rubber meets the road – actual hands on practice makes you ready for the real world. This storytelling game will do just this – without you having to lift more than a few fingers – to type that is.